The ATS Acoustics Studio Stacker™ is both a portable gobo panel and a portable bass trap in one product. 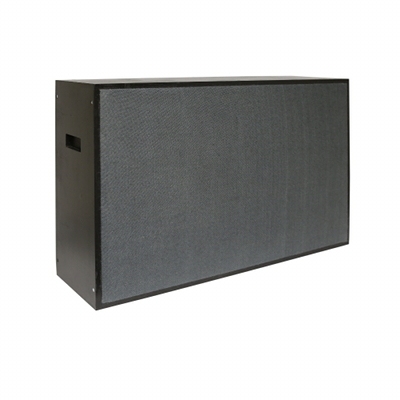 The Studio Stacker delivers exceptional sound control by absorbing stray sound and excessive bass waves. It eliminates sound distortions during recording and live performing, and reduces sound spillage between instruments. These studio stackers are portable and make it easy to travel to all of your recording and performing gigs. An affordable go-between addition to your studio. ATS Acoustics’ Studio Stacker has a wide variety of fabric colors to choose from. You can choose the same color for both sides of your Studio Stacker or mix and match 2 different colors to suit your style and space. Additionally, the Studio Stacker has 3 frame finishes available: natural, unfinished birch wood, or painted black. If desired, you may apply your favorite paint, stain, or varnish to the unfinished version. Front and back panels are easily removable (six screws each) to facilitate finishing. Studio Stacker™ dimensions 24″ x 36″ x 10″.